Interested in marketing your website online? Look no further, After Dark Grafx can help! 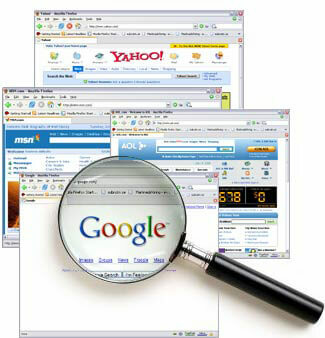 specifically cater to search engine optimization. Search Engine Marketing or Search Engine Optimization as it is called, consists of the way a website is coded then submitted to search engines for inclusion. This may include but not limited to Google Adwords™ Placement, Sponsored Links, Banner Advertising and Keyword Page Creation.